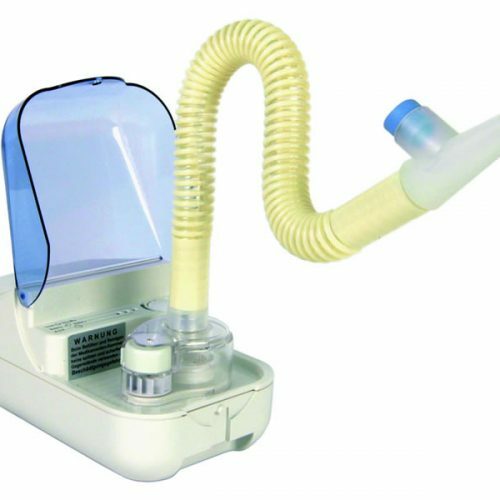 A small and handy ultrasonic nebulizer, also for treatment away from home, fully encapsulated design. Infrared control ensures on-demand aerosol production, noiseless in operation, warming up of aerosols, with wideband power supply, mouthpiece, nebulizer head, sealing ring, baffle plate & valves, bag, includes batteries. 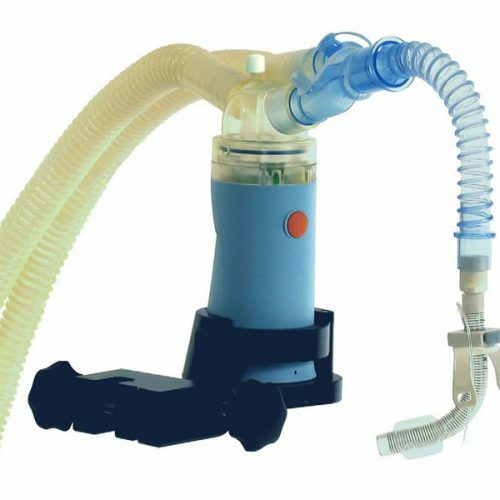 For patients suffering from COPD, mucoviscidosis and other chronic diseases of the airways. Low medicament consumption thanks to breath-actuated inhalation. Effective inhalation, easy to operate, safe hygiene. 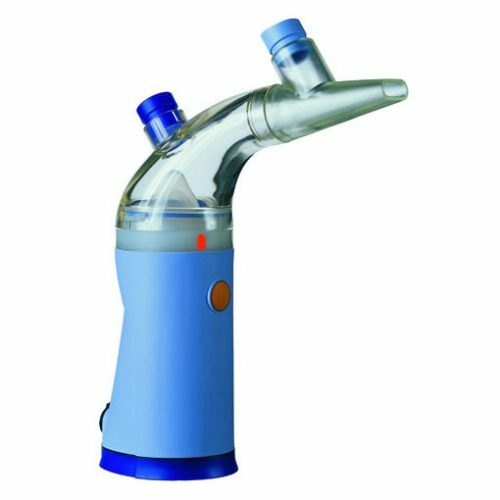 Optional: Medicine cup to simplify and ease hygiene access, to nebulize temperature-sensitive drugs or small amounts of drug.